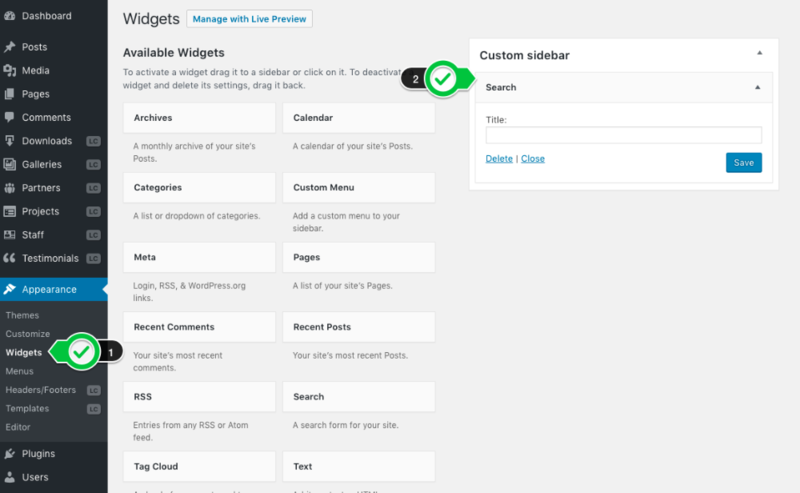 Using a "Widget module" where you can call the "Search form" widget from WP Admin > Appearance > Widgets. To learn how to create a custom sidebar, check this article: Creating Sidebars and Widget Areas in Live Composer. 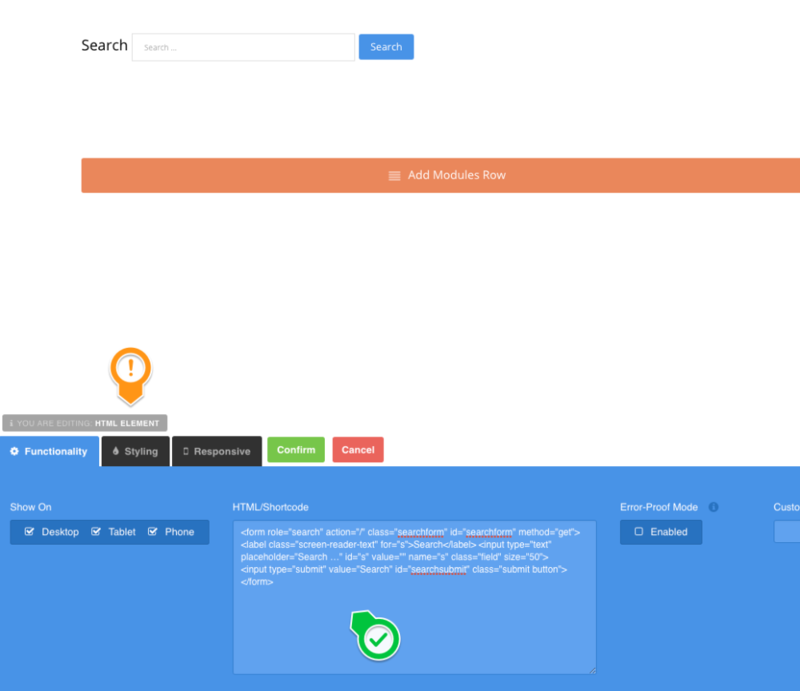 In order to have a proper searching list layout, you need to create a custom template. Check this article: Can I create Template for archive listing pages (category, tags, search)?